Adderbury Parish Council has issued a statement thanking residents for voting in the Neighbourhood Plan referendum. The plan received 92% of the vote last week (June 21, 2018), whilst only needing to pass the 50% threshold in order to become officially recognised. The statement recognises the length of time taken and commitment in delivering the project, noting the original idea had been initiated by Parish Council Chairman Diane Bratt and Councillor Mike Dolamore back in 2012. The statement concludes with the hope that the adopted plan will now help the Parish Council, "provide the sort of village that residents have shown they want". "The Parish Council would like to thank everyone who turned out to vote, about 30% of the electorate. The result of the Referendum held last Thursday was a resounding yes vote: 651 votes in favour and only 58 against. 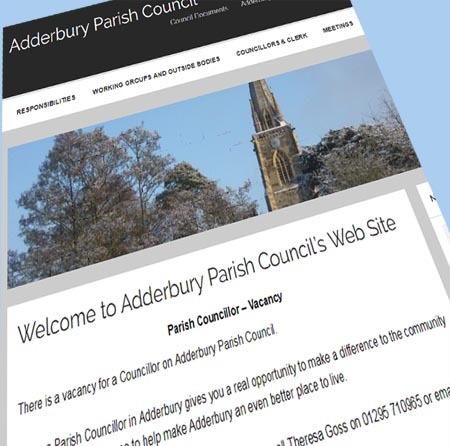 The idea of a Neighbourhood Plan for Adderbury was first put forward to the Parish Council by the Chairman and Councillor Mike Dolamore in 2012 and it has been a long time in coming to fruition. The Parish Council would like to thank everyone who has contributed and worked on the Neighbourhood Plan team over these years, especially Sam Brown who chaired the team working on the final version and also worked with Councillors and Cherwell District Council to complete the very final stage of the Plan after it was agreed by the Independent Examiner. The Plan has now become part of Cherwell District Council’s (CDC) Local Plan and must be referred to as part of the planning process. The Plan is mainly about supporting CDC’s policies to prevent unsuitable development outside a defined settlement boundary and to protect and enhance the landscape in open countryside. There are also a number of Design Policies which aim to maintain the quality of architecture throughout the village and also policies which protect ten buildings and structures of local importance. The Plan also includes policies to protect the environment by safeguarding Green Spaces and Open spaces within the village and to support Employment and Tourism in the Parish, as well as to provide new facilities for sports and community use on the Milton Road and work to improve facilities in the Lucy Placket Playing Field. The Parish Council is pleased so many residents voted for these policies and it is hoped that the Parish Council will now move forward to provide the sort of village that residents have shown they want."